Like so many before him, Michael Perry learned to sing in church. Then a Waylon Jennings 8-track got him hooked on boogety-boogety. This combination yielded the mix of straight-up twang and churchly harmonies found in Perry’s music. 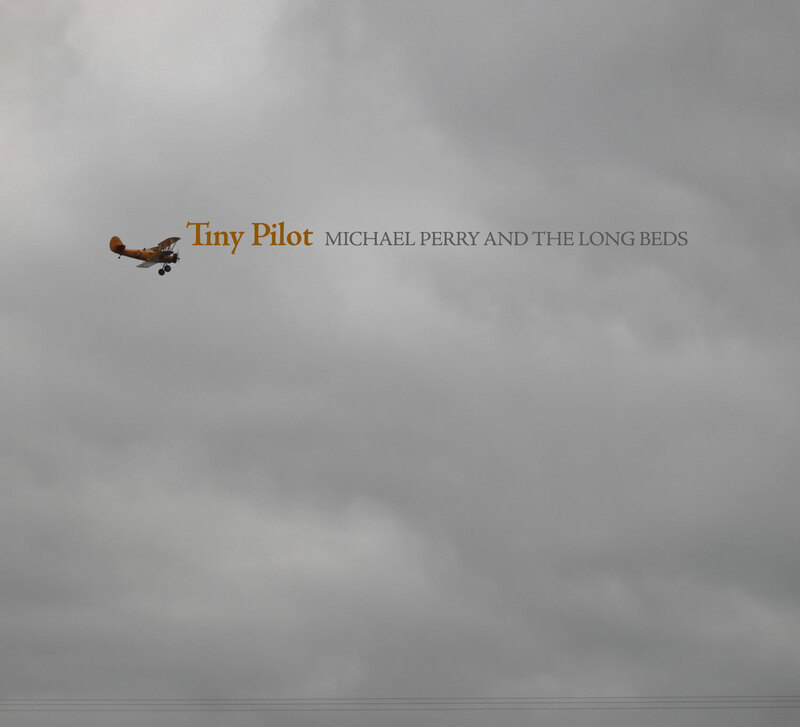 Tiny Pilot is Michael Perry’s second full-length release with his band the Long Beds. The songs on Tiny Pilot range from boot-stomping country to roughneck folk ballads and are populated by characters drawn straight from rural and small-town America. The music made by Perry and his Long Beds has been described as ‘country folk,’ ‘folk-twang,’ and Americana. The CD version of Tiny Pilot includes 3 exclusive tracks not found anywhere else. It also includes a lyric sheet with song commentary by Mike, and a full-color poster documenting the recording process. Listen to tracks or access lyrics over here.